Online privacy is one of the biggest concerns of Internet users and most of them never fail to oppose actions that might compromise it. This attitude of Internet users again became a topic of discussion after a recent event. Recently, we saw WhatsApp announce that it will begin sharing some of the user data it has with the world’s largest social networking platform and its current parent company Facebook. However, this plan by the messaging app doesn’t seem to make the privacy advocates and app users happy. According to them, WhatsApp’s action would leave people’s online privacy at a high risk. It has been just a few days since the announcement, and both privacy advocates and app users have started raising questions over plans by Facebook and WhatsApp. According to them, by sharing users’ data with Facebook, the messaging app will actually be breaking the promise it made to its users and exposes their online privacy to a high level of risk. The situation has worsened for the duo as a few consumer privacy groups have filed an official complaint with the Federal Trade Commission requesting them to look into the matter. The two groups playing a pivotal role in submitting the complaint are the Center for Digital Democracy or CDD and the Electronic Privacy Information Center or EPIC. The two groups have requested the FTC to carry out a thorough investigation of the terms set by WhatsApp and Facebook. According to those groups, the new terms set by the social networking giant and the messaging app, constitute deceptive and unfair trade practices. “Deceptive” and “unfair” are the legal terms used for all kinds of misleading actions the FTC is eligible to investigate. These are actions that can remove all barriers protecting one’s online privacy. The CDD and EPIC are claiming that the changes made to the privacy terms are reducing the online privacy of users significantly. According to them, they are not the only ones to believe so. They have cited a number of international regulators, experts, and tech journalists, all of whom have expressed displeasure over the news. That’s not all; the privacy groups have also cited previous communications taking place between FTC and Facebook (as well as WhatsApp) on this particular subject. 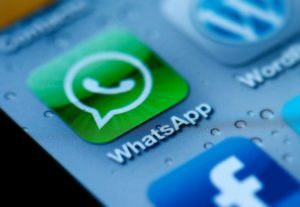 When the social networking biggie first talked about its plans of buying WhatsApp a couple of years back, the FTC issued a warning asking the two companies to make sure they don’t end up compromising users’ online privacy. Here, it must be mentioned that as a result of entering a settlement with the FTC in 2011, Facebook needs to abide by strict privacy regulations. In 2014 i.e. when Facebook took over the messaging app, the FTC suggested that WhatsApp should keep honoring the existing promises made to its users. At that time, executives representing both the companies promised to follow FTC’s suggestions. Facebook’s founder and CEO Mark Zuckerberg said that his company would never be changing its plans around the newly acquired messaging app and the manner it uses users’ data. According to the privacy group, by doing so, Facebook is breaching Section 5 of the FTC Act. 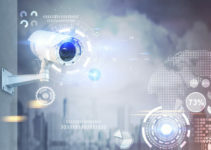 The group is getting considerable support from a large section of the public as online privacy is a matter of serious concern for most Internet users. 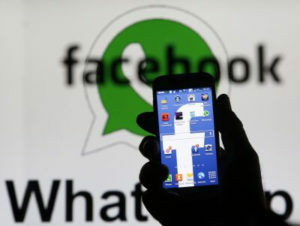 Marc Rotenberg, the current president of Epic, said that when WhatsApp was acquired by Facebook, the messaging app made a promise to consumers and privacy groups around the globe including the FTC that it would never disclose any user data to its parent firm Facebook. Rotenberg added that with the recent announcement they have broken that promise. WhatsApp users have been given a period of 30 days to decide whether they want to get their data shared with the social networking giant.